Here at Estate & Long Term Care Law Group, we know that an educated client is one who will make the best decisions for themselves and their future. When our clients work with us, we will take the time to explain what we are doing, and why, throughout the process. Before even signing up as a client, however, we want to offer all our visitors some extremely helpful information, which is why we’ve created this video library. Our attorneys have taken the time to create videos about some of the most important elder law topics. Please feel free to browse through the videos and view the ones that interest you. Don’t forget to check back from time to time as we add new videos on a regular basis. If after watching a video you have some questions, please don’t hesitate to contact us right away. Does Medicaid provide for any in-home Long-Term Care Treatment? I don’t have a very big estate or any major assets. Do I really need a will? What can I do to protect my child’s inheritance? My loved one died without leaving a will. What will happen to their estate? My loved one needs to move into a nursing facility, but we cannot afford it. What can we do? My parent has become forgetful. What does this mean for our family? What are Advance Directives and why are they so important? 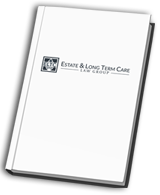 What estate planning vehicles are available to help me shelter my assets? What factors should I consider in naming a trustee? Which assets are not countable for the purposes of qualifying for Medicaid? Won’t Medicare cover my Long Term Care costs?